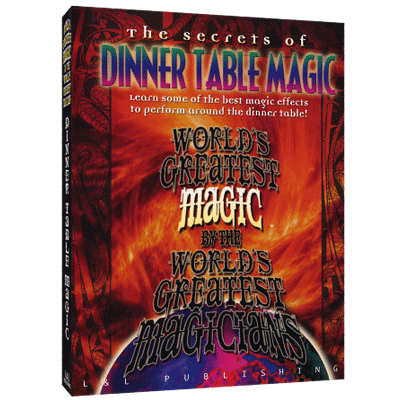 In this volume, you'll learn some of the best magic effects to perform around the dinner table. Experienced performers know that after a meal, everyone is ready for some entertainment, you'll learn some of the most amazing magic ever created that can be performed with items routinely found on a dinner table. You'll be the life of the dinner party when you learn these after-dinner miracles, many of which can be done totally impromptu. From classics such as Johnny Thompson's version of the Vanishing Glass and David Roth's handling of the Coins Through Table to unusual offerings such as Gregory Wilson's Off Base, a startling broken and restored wine glass effect, there's a treasure trove of magic offered here that's virtually guaranteed to make you the hit of any gathering.